NATO has started its biggest exercise since 2002 with 36,000 international troops from 30 states, including non-NATO nations, participating in the drills which are taking place at sea, in the air and across the territory of three European states. The alliance has kicked off its massive “Trident Juncture 2015” exercises which will last until November 16. Along with the NATO member states, seven more partner nations are participating in the drills: Australia, Austria, Bosnia and Herzegovina, Finland, the Republic of Macedonia, Sweden and Ukraine. Some 36,000 troops as well as more than 60 warships and about 200 aircraft will participate in the drills which makes it the biggest since 2002 when about 40,000 troops took part in NATO’s “Strong Resolve” military exercise. 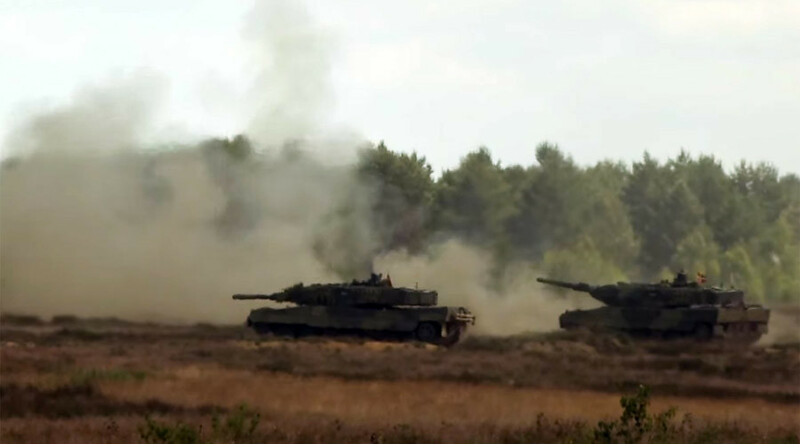 “The purpose of the exercise is to train and test the NATO Response Force, a highly ready and technologically advanced multinational force made up of land, air, maritime and Special Forces components,” said General Hans Lothar Domrose, the Commander of Joint Force Command Brunssum. “Enhancing our response forces is a key part of NATO’s overall effort to adapt to emerging security challenges. TRJE15 [Trident Juncture 2015] has been designed to ensure that our concepts and procedures will work in the event of a real crisis because our job is to always be prepared to defend the people, territory, and values of this Alliance,” he added. The drills will consist of two parts: the Command Post Exercise (CPX) for Strategic and Operational level staff, and the Live Exercise (LIVEX) for tactical level troop engagements. The CPX, which will last until October 16, will include “training, evaluation and certification activities” of the command structure of the NATO Response Force. The European Union and the African Union are also going to participate in the CPX. LIVEX will be held in Italy, Portugal and Spain between October 21 and November 6. NATO air forces, land forces as well as maritime forces will conduct a number of exercises – for example, responding to a simultaneous, wide-scale attack of a group of 20 enemy ships, numerous aircraft and four submarines. NATO has significantly stepped up its military presence and activity along the Russian border, including in the Baltic states and eastern Europe, since Russia’s reunification with Crimea and the outbreak of conflict in eastern Ukraine, which the alliance blames on Moscow.